I had a pretty easy time putting all the ingredients together for this sweet little cake. I’m glad I didn’t chop the nuts as fine as Dorie suggested… the cake ended up tasting exactly like my grandmother’s chocolate cake (minus the cinnamon). 🙂 It was absolutely delicious and I will definitely be making this one again!! 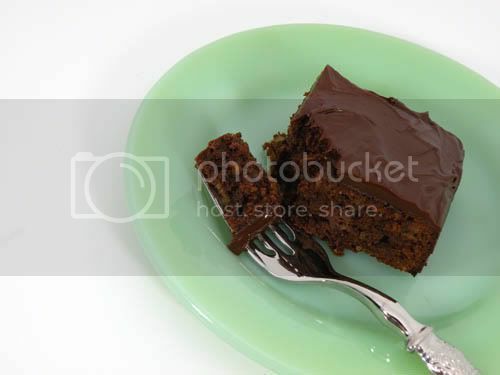 Chosen by LyB of And then I do the dishes, here is Dorie’s Chocolate Armagnac Cake… the one that got her fired. 🙂 And don’t forget to check out the other TWD bakers here! Gorgeous! Your cake turned out so perfectly. Lucky parents! I love the square shape. I’m glad it was a hit for you. What a great treat for your parent’s anniversary. Love the square! It WAS a great cake, wasn’t it? I’m sure everyone enjoyed it – nicely done! This looks awesome! And happy anniversary to your parents! This looks really nice in the square pan – good call! Pretty! I just didn’t get around to making it…bad Amy. BUT – my mom’s birthday is tomorrow so I’m making her the Perfect Party Cake!! I’m so excited! Any tips or suggestions?? 😉 Miss you like woah! 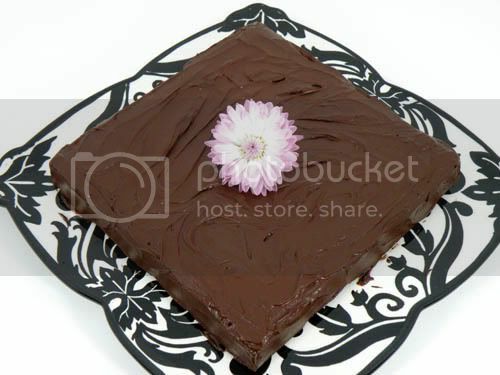 Love the square cake! It turned out beautiful! I love that you put it in a square pan. I thought about giving up sweets for Lent, but I just didn’t think others would want to be around me. ;o) The cake looks fabulous! What a gorgeous photo! I love the plate, I love the flower, I love the angle! Gorgeous! So pretty! What a nice treat for an anniversary too. Cake looks just right. Love the platter. 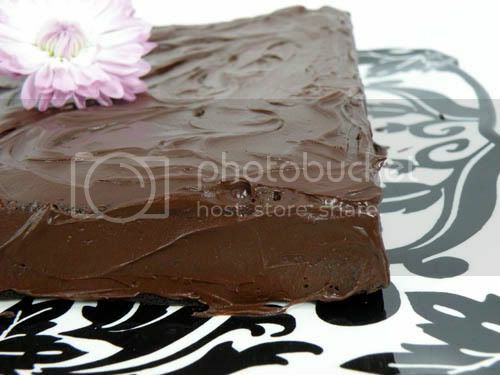 Gorgeous…love the shape of the cake and it is perfect on that plate…you certainly presented them with a lovely cake! Great job!